In general, buffet food must be stored, handled, and cooked properly to avoid contamination, so consumers should be aware of the restaurant’s food safety records. Last week, the US Food and Drug Administration (FDA) posted an announcement that CRF Frozen Foods, a Washington-based company, had initiated an expansion of a more limited recall that the company had issued on April 23rd. According to the CDC release, public health officials “from several states” had been coordinating with the CDC and FDA since March of this year to investigate a multistate outbreak of listeriosis (the disease caused by the bacteria Listeria monocytogenes, also known simply as “Listeria”). As of May 3rd, the date that the CDC report was publicly released, the agency had identified eight people with the outbreak strains of Listeria. Six of the eight confirmed cases occurred in California, while Maryland and Washington confirmed one outbreak case each. All eight of the outbreak cases were hospitalized, and the two cases associated with fatalities occurred in the confirmed cases not originating in California. Two recalls have been associated with this outbreak: a first, smaller recall of eleven products announced by CRF Frozen Foods on April 23rd, and a second expansive recall announced on May 2nd, which expanded the first recall to include all traditional and organic frozen fruit and vegetable products that had been processed in the company’s Pasco, Washington facility at any time after May 1, 2014 — a period covering two years and one day. The first of the eight outbreak cases was reported on September 12, 2013, while the most recent case had an illness onset date of March 28th, 2016. Despite the fact that the outbreak began in 2013, it was first identified by public health officials in March 2016. In addition to the most recent case, one other case was reported this year, with the remaining six outbreak cases (occurring between 2013 and 2015) were retrospectively identified using the CDC-coordinated database of information related to cases of foodborne illness. All specimens used to identify outbreak cases were collected between September 13, 2013 and March 28, 2016. 100% of people diagnosed with the outbreak strain of illness, who range in age from 56 to 86 years of age, required hospitalization as a result of their illnesses. The CDC states that at this time, “epidemiologic and laboratory evidence available at this time indicates” the now-recalled frozen vegetables produced by CRF Frozen Foods – sold under 42 separate brands as 358 distinct products – are “one likely source of the illnesses in this outbreak,” leaving some doubt as to the amount of certainty the agency has with regard to the ultimate source of the outbreak. The ill person, a family member, or a caregiver for the ill person willing to answer questions regarding foods the ill person may have consumed in the month prior to falling ill. Three such persons (out of eight) were interviewed by officials, who used a questionnaire that inquired about a variety of foods. Of the three people questioned, two reported that they had bought and ate vegetables in the month immediately preceding their illnesses. Both reported that they had purchased and consumed Organic by Nature brand frozen vegetables. CRF Frozen Foods manufactures Organic by Nature frozen vegetables. 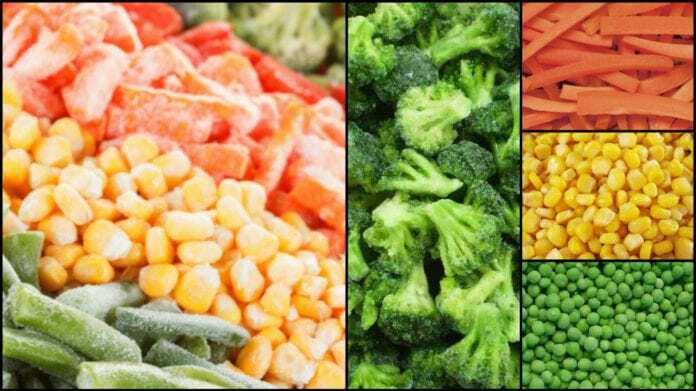 During the same period of time, the Ohio Department of Agriculture collected packages of frozen vegetables from a retail location as part of its random product-sampling program. The frozen organic petite green peas and white sweet cut corn that tested positive for Listeria were both manufactured by CRF Frozen Foods. If you became ill after eating products containing sunflower seeds or have otherwise been affected by food poisoning, please fill out our free case evaluation form or call us toll-free at 1-888-335-4901. One of our attorneys will contact you to discuss your potential case at absolutely no cost to you.